One of Crocs favorite flips gets even better. Edition V gets prettier, with thinner straps and a sleeker profile — yet has the same comfortable fit. 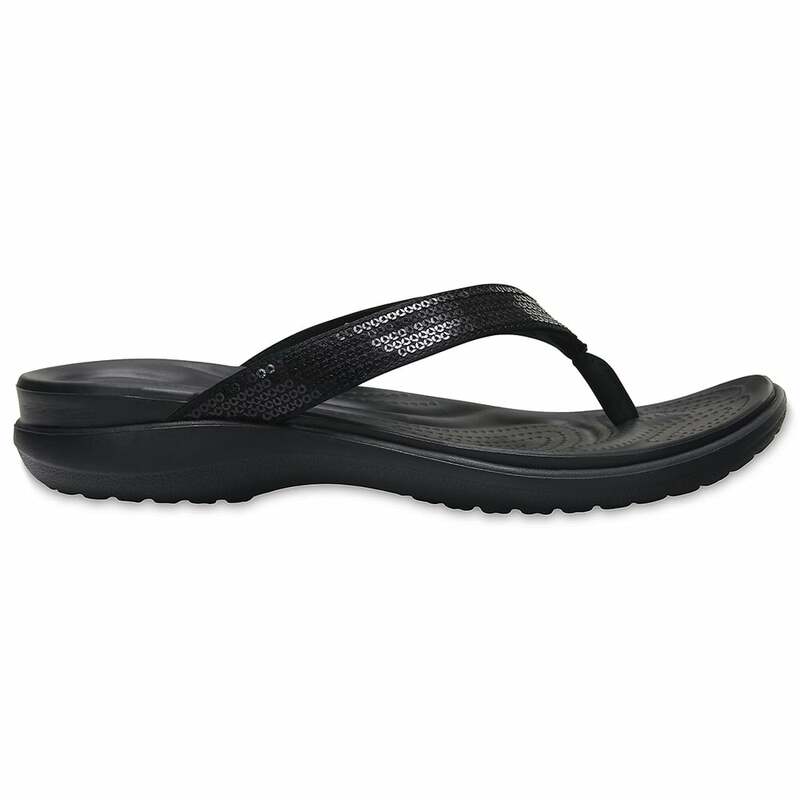 You get a double-shot of Crocs comfort, with a soft foam footbed, deep heel cradle and a Croslite foam outsole to cushion every step. It’s the casual flip you can wear almost anywhere.